AvPlan EFB’s integrated flight plan submission form is a simple, intuitive way to file a flight plan. With AvPlan EFB’s powerful interface creating and submitting complex plans can be completed in minutes. AvPlan EFB will file your flight plan, VFR or IFR, SARTIME or not with ease. We’ll even warn you when your SARTIME is about to expire and you can change or cancel inside the app. AvPlan EFB will also provide feedback on expected routing and monitor your plan for deteriorating weather conditions and notify you automatically. 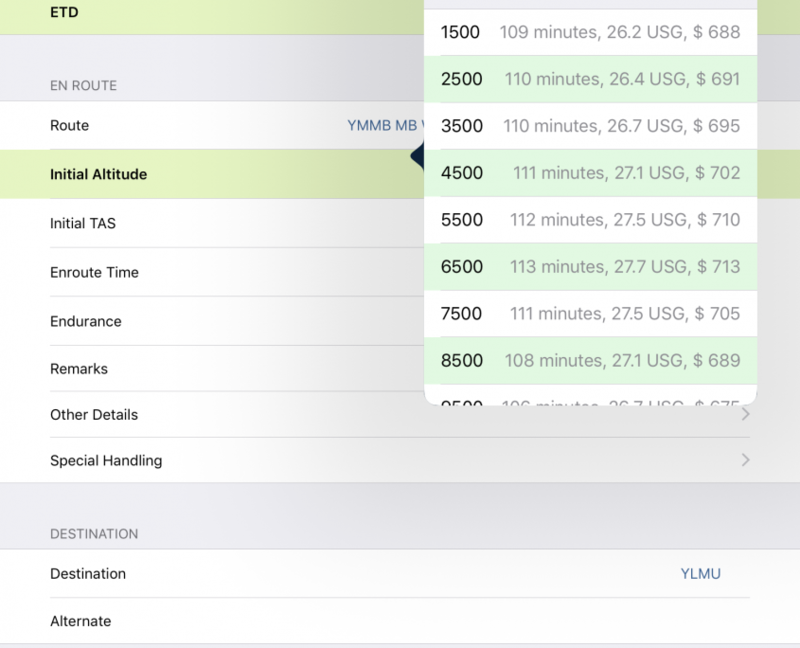 Start creating your flight plan and enter your route into your EFB. 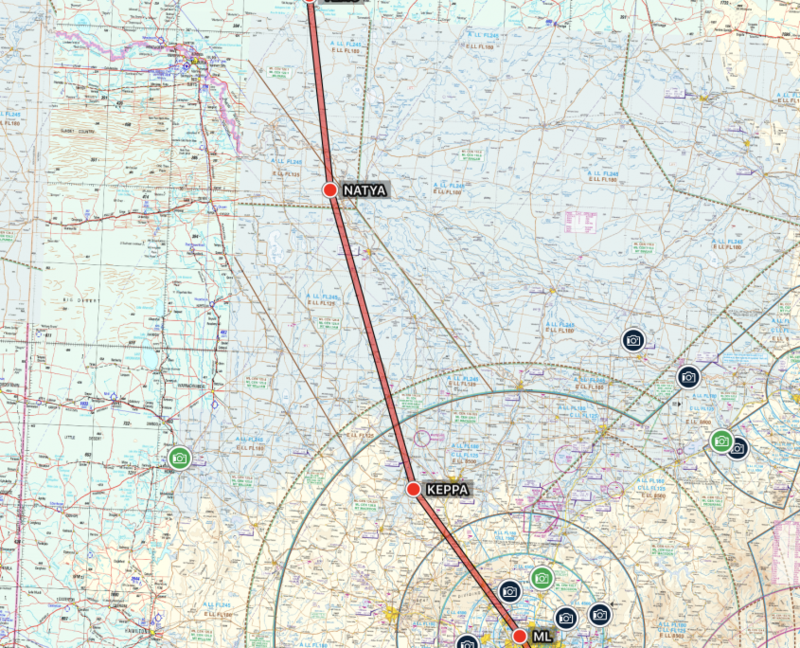 Use AvPlan EFB’s advanced IFR auto-router to automatically add IFR routes. Enter in your aircraft details (aircraft colour, avionics, PBN codes etc) as required. 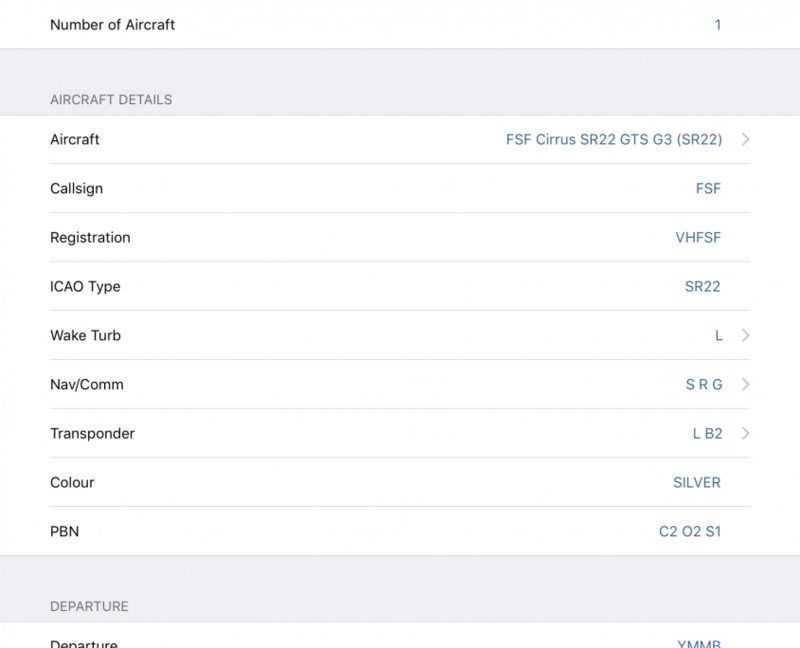 These are automatically saved against your selected aircraft profile for future use. The form highlights missing required fields so you’ll never miss an option. 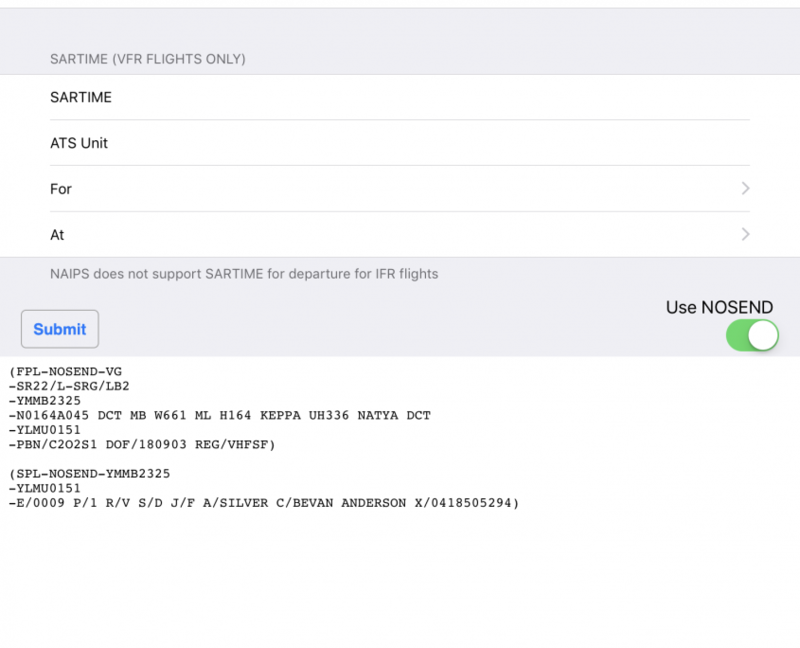 Departure times, flight rules, altitudes, fuel loads and alternates can all be altered in the flight plan form. These changes are also propagated back into your flight plan. If you leave the form and re-enter all changes are saved. You don’t need to fill in the form again. Send a test flight plan, then send a real plan. AvPlan EFB will handle the change seamlessly. You can also amend all details about your plan and resubmit! Once submitted we will then monitor your plan and send you weather alerts if conditions deteriorate. Download the AvPlan EFB free trial to your iOS device today and file your first flight plan with ease!